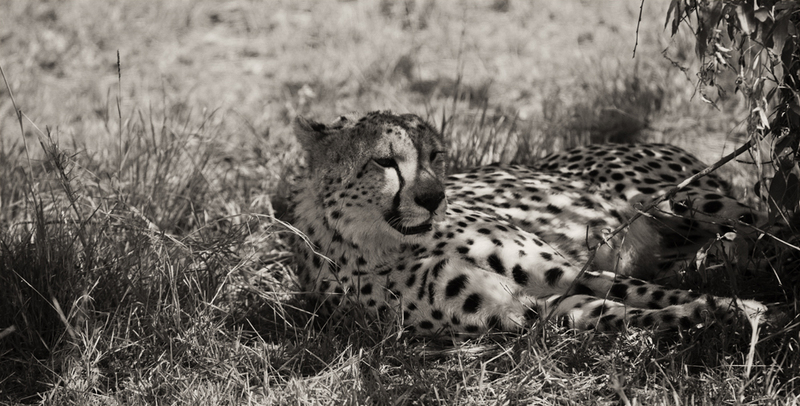 Whilst in the Maasai Mara we came across this lone Male Cheetah. Resting in the shade of an acacia bush and obviously sleeping off a meal !! Magical moment for us, we had not seen a Cheetah for a decade ! Maasai Mara reserve, Kenya, Africa.